Fall in LOVE with pitching. Not the easiest thing especially for a girl who doesn’t consider herself to be very confident. There’s always going to be a time in your life when you need to pitch, whether it’s yourself, your idea, a presentation or a proposal for your business. 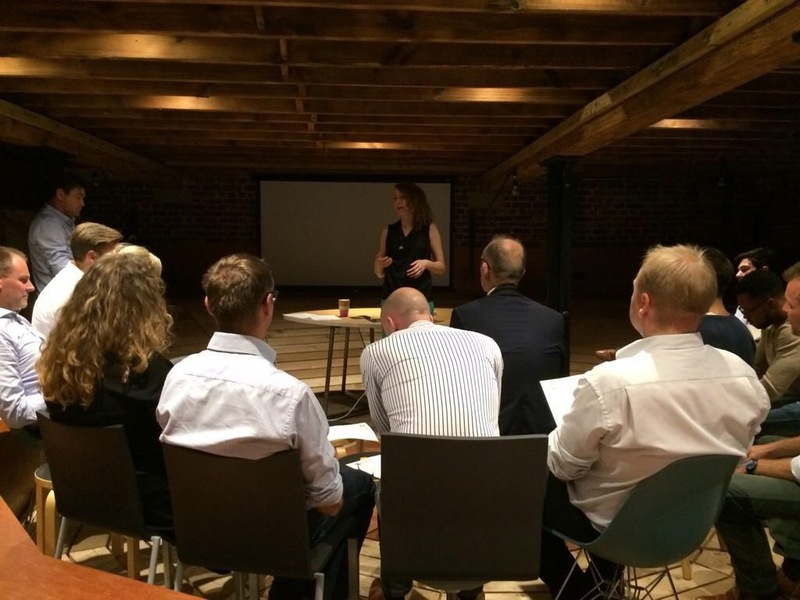 Pitching isn’t just about gaining the confidence to speak in front of people, there are many elements to a pitch including structure, timing and what exactly you say that can make a pitch go from good to excellent. This was a 90-minute class held by instructor, Annik Rau from Pony Express who provides training on not just public speaking, but how to fall in LOVE with public speaking. I met Annik through her fiancé who mentored for a boot camp that I ran a few months back. It’s a small world in the entrepreneurial scene. Hosted in an auditorium style space at the very cool London Bridge Club Workspace, the class of 25 individuals were very eager to learn new pitching techniques. Interestingly the attendees were made up of various ages; some were MBA students, founders, employees and interns. Almost instantly, Annik had the class standing up in groups where each individual presented themselves to 3 others answering: Who are you? Some individuals held back and some put themselves forward to go first but everyone gave it a shot. Next, Annik went through some important factors that can affect a good pitch and these weren’t just the normal: body language, are you smiling, projecting your voice. Back in groups again and Annik presented the group with a new challenge, get up in your groups and answer: Who are you really? The pitches changed dramatically and Annik went into depth on why she had done this particular exercise. Annik gave a solid structure as to how you should approach your pitch, giving practical and useful tips and tricks and answering any Q&A along the way. I was incredibly surprised by how much I learned and other people’s feedback had provided me with good direction. The last exercise was to perform your pitch and it was incredible to see just how people’s pitches had changed dramatically within the space of only one hour. By the end of the class, the room was bursting with confident and solid pitches and the participants were oozing with confidence! There was an opportunity for Q&A, where I asked how I should pitch myself when someone asks: ‘What do you do?’ I was put on the spot and asked that question to see what answer I currently give. Thankfully there was lot’s of room for improvement. I’ve always downplayed my experience and through this class I’ve learned to do the opposite. Thank you Annik and Pony Express!